Mix in eggs, butter and bananas. 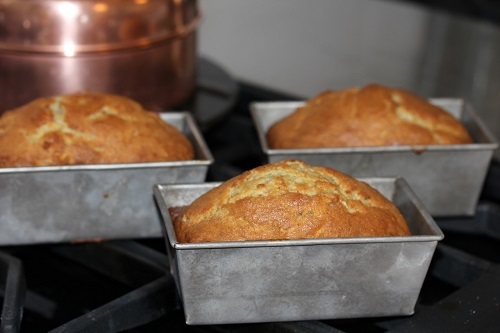 Bake in small greased loaf pans at 350 degrees for 25-30 minutes. If you use a large single loaf pan, it may take up to 50 minutes to bake. Don not overbake or they will be dry.